I recently got a chance to paint some of the prototype miniatures for the upcoming Kickstarter (4 more days!) 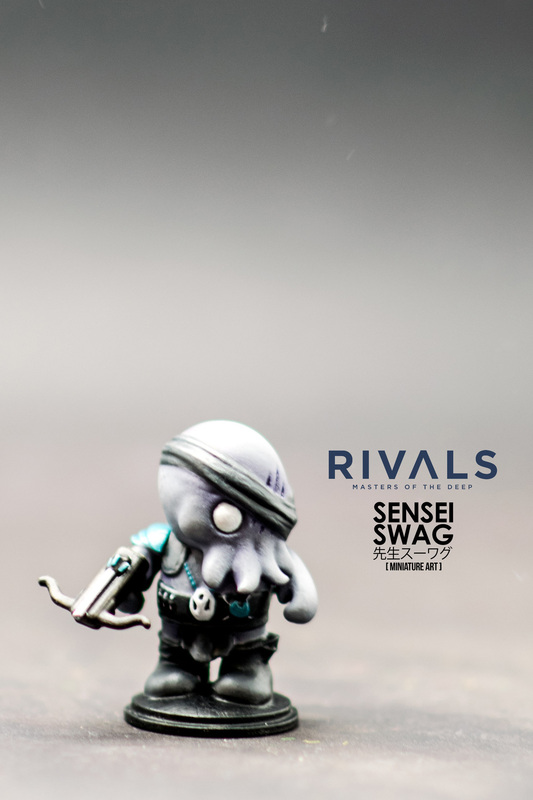 Rivals: Masters of the Deep. These models are all 3-D prints since the plastic pieces are not yet available. The beautiful girl modelling with the figures is Nurse Baemax (Twitter: @NurseBaemax). When she isn't playing with figures or Cosplaying, she does recaps for League of Legends for the Daily Dot Esports. Here are the completed paintings, but I wanted to write a little bit about how the process of miniatures being made. This is the first rendering of Algernon Chiffchaff (not done by me of course!). Next an artist realizes the 2-D sketch into a 3-D render. Unfortunately the 3-D printing is not perfect (and shouldn't be expected to be). Different 3-D printers can print to different resolutions and different materials hold detail better. The clear plastic (Frosted Ultra Detail?) from Shapeways is the best I've seen. 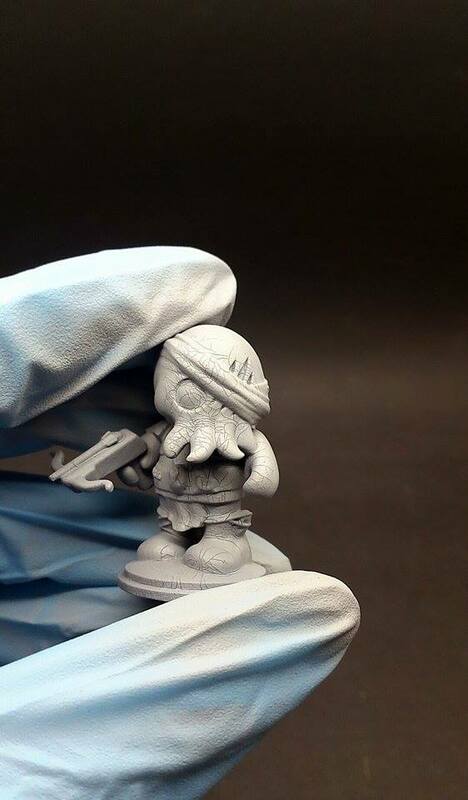 Miniatures sculpted in 3-D are printed and then fixed up before casting. Here is our friend with the cracks filled in and sanded down. Some paint is added. The skin is a Base Grey shaded with Purple. This is two shades out of about six used for the final figure. And a friend for Algernon! And some more glamour shots. Keep up to date and find out when the game goes on sale here!